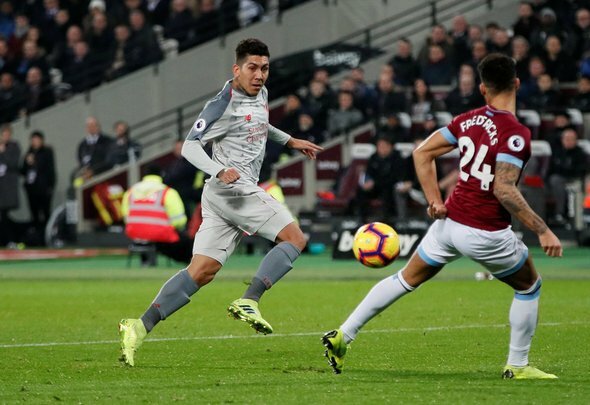 Right back Ryan Fredericks did appear to struggle somewhat in West Ham United’s 1-1 draw with Liverpool on Monday night. Going up against Sadio Mane is a tough job for any full back and so it proved at the London Stadium. Fredericks tried his best, certainly he hung in there, but ultimately it was a tough night at the office for the former Fulham star. There were a couple of occasions where Fredericks was beaten all ends up by a Liverpool man and obviously that’s not what you want to see from your defenders. He was clearly brought into the side because of his pace, with Manuel Pellegrini perhaps feeling that Pablo Zabaleta, at his age, wouldn’t be able to cope with the searing speed of Mane and co. Fredericks did alright, but you can’t really say that he kept Mane in check either, what with the Senegal star opening the scoring for Jurgen Klopp’s side. Overall it wasn’t a bad outing from the 26-year-old, but it perhaps won’t be enough to keep him in the team moving forward. 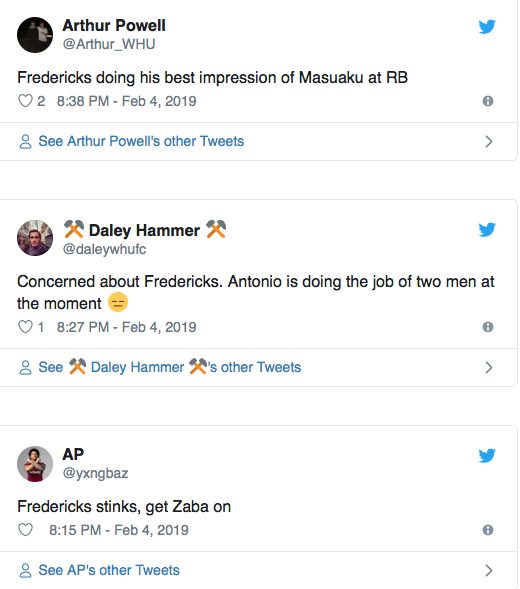 Forever West Ham has rounded up some of the best tweets below. How bad is Fredericks? Both on and off the ball. He is woeful. Ask Chicha why he's not closing down, also I'd tell Fredericks to calm down and concentrate on his distribution.